On Saturday I completed my first ever 10km run under 60 minutes! It was a beautiful day in Tokyo and a HUGE thank you needs to go out to my running partners Kim, Elaine and Sangeeta. Also, I must thank the support team of Alex and Fred who came along to cheer us on. My next race will be the half marathon in March. Only 89 days to go! At least I know I can get halfway there…almost that is! 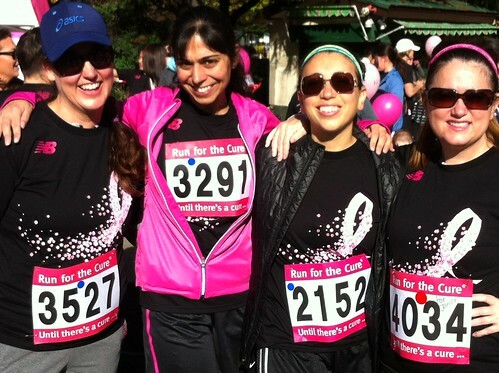 Me, Sangeeta, Kim and Elaine at Tokyo Run for the Cure – and we did!